From the construction of the Pyramids in Egypt to the roads and aqueducts of Rome, Civil Engineers and Designers have been planning, modeling and supervising the construction of large projects since the earliest days of civilization. In the late 19th century, orthographic drawings started to replace the more artistic representation of structures such as field fortifications and bridges, so a crew of specialized workers could complete a large edifice by reading top, front and side views of hand drawn prints. By the late 20th century, the designer can use the power of Computer Aided Design (CAD) software to continue with the pursuit of large structures, by making 3D models of the creation, and outputting the necessary information for production. Whether a considering a building or water works project, the designer of the task needs to place their assembly on the surface of the Earth where nature will play havoc in the scheme. Civil Engineers and Designers learn to research the lay of the land by survey and place the information on drawing and maps. When the land is studied, one cannot forget the force of water, wind and snow that weigh heavily on the larger exterior of the edifice. Sometimes the designer will decide to hold the weight; others will incorporate systems to remove the load. Now having to hold the interior mass and resist the exterior forces, many buildings are a collection of concrete and steel. The steel beams holding the floor, walls and ceiling are many times pinned or welded. Designers will need to learn the basic shapes of steel beams and the variety of methods to connect them together. For the different disciplines in the study of engineering, various symbols have special meanings. Designers need to learn how to properly display construction information on their drawings. If the new building holds an industrial processing plant, the study of hydraulics and pneumatics allows the engineer to take potential energy from a centralized location to the work throughout a manufacturing plant using industrial piping. Environments where electric motors or diesel engines cannot survive can have hydraulic cylinders lifting loads weighing tons. The designer needs to understand the workings of the components of their system comprising of reservoirs, pumps, valves, and cylinders as well as how to control them. In other areas of the building, a system of pipes brings the potable water to rooms and other pipes remove waste. Also, having the knowledge of Heating Ventilating and Air Conditioning (HVAC) helps the designer to bring comfort to the individuals using the building. 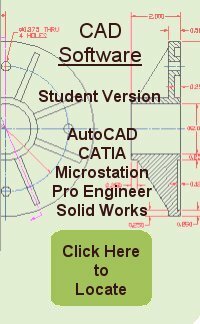 The Introduction of Civil Design is a Computer Aided Design (CAD) textbook presents multiple designs and drawings allowing the newly trained designer to operate in an Engineering department.